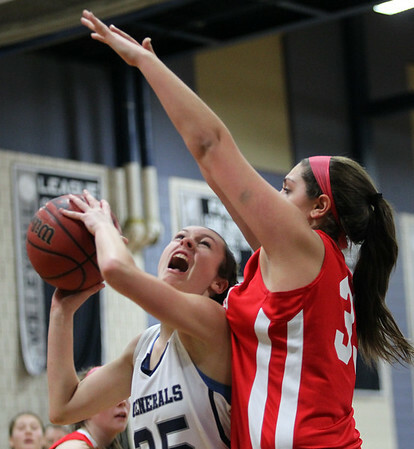 Hamilton-Wenham freshman Cecily Szady (35) tries to go up strong to the rim while being closely defended by Masco sophomore Stephanie Mini (33). DAVID LE/Staff photo. 1/6/15.